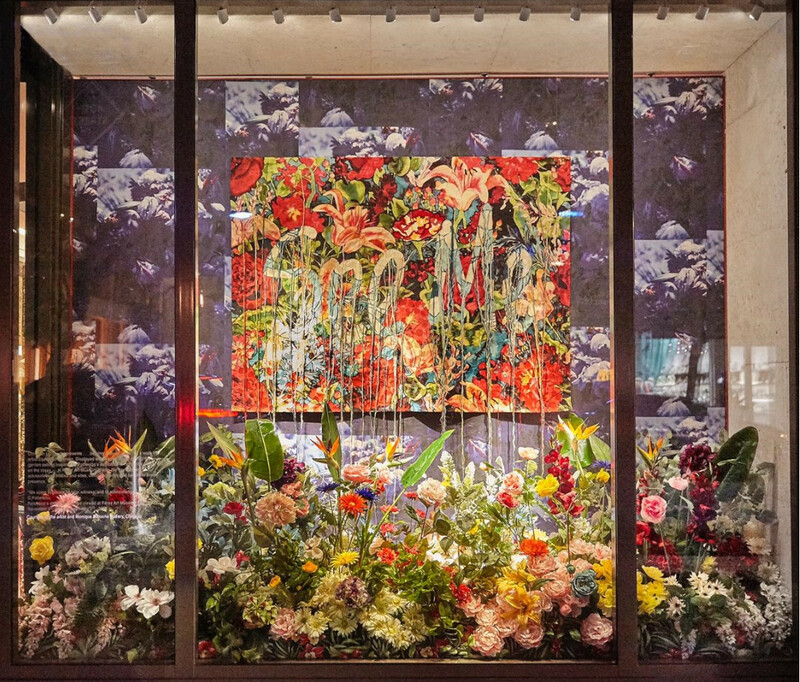 Christian Louboutin joins Pérez Art Museum Miami (PAMM) to present multimedia artist Ebony G. Patterson’s exhibition . . .while the dew is still on the roses. . . As a house committed to partnering with artists, storytellers and cultural visionaries, Christian Louboutin is proud to support Patterson’s largest scale exhibition to date, on display at PAMM from November 9th, 2018 through May 5th, 2019. 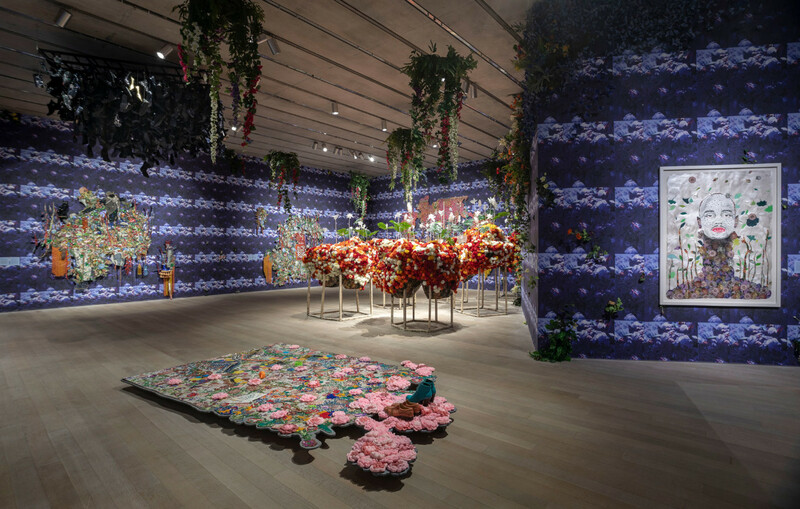 The highly immersive, site-specific installation was conceptualized by Patterson to recall an overgrown, decadent night garden. The survey of 13 large scale works, six of which were created for the exhibition, includes paintings, videos, drawings and tapestries. “For almost five years, I have been exploring the idea of gardens, both real and imagined, and their relationship to postcolonial spaces. I am interested in how gardens – natural but cultivated settings – operate with social demarcations. 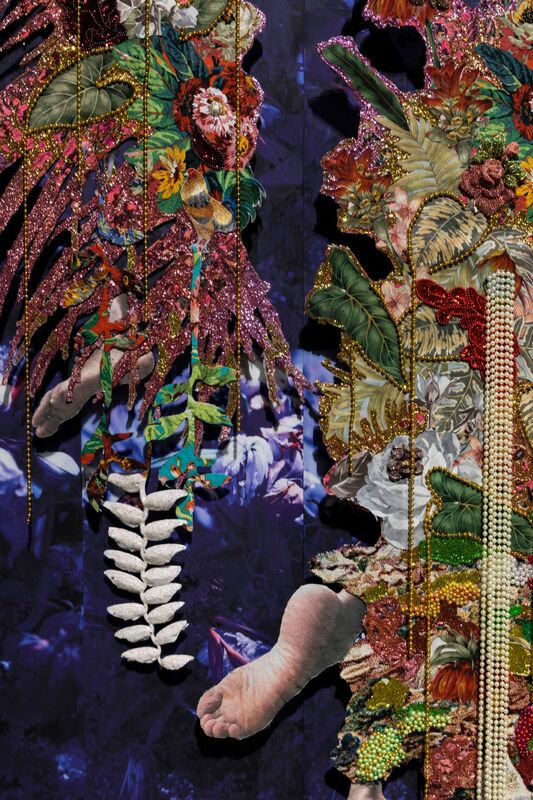 I investigate their relationship to beauty, dress, class, race, the body, land, and death,” says Ebony G. Patterson. Serving as an extension of . . .while the dew is still on the roses. . 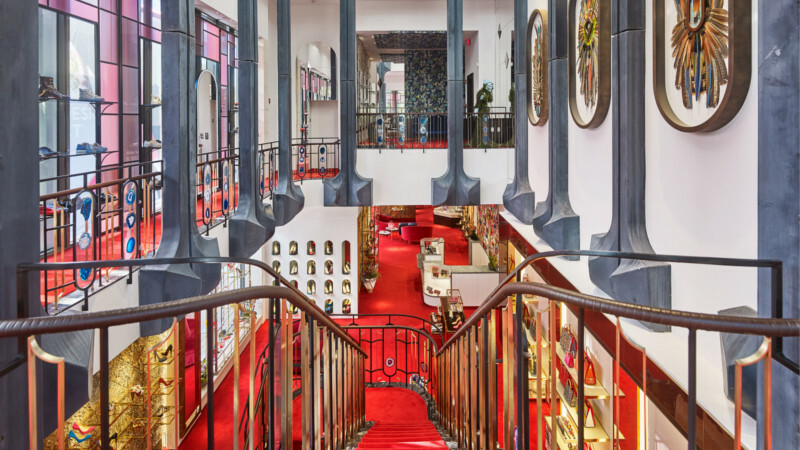 ., Christian Louboutin will showcase a work by Patterson in the window of its Miami Design District Flagship Boutique. From November 30th through December 11th, the piece, . . .bearing witness. . ., will be exhibited within an ominous midnight garden installation. 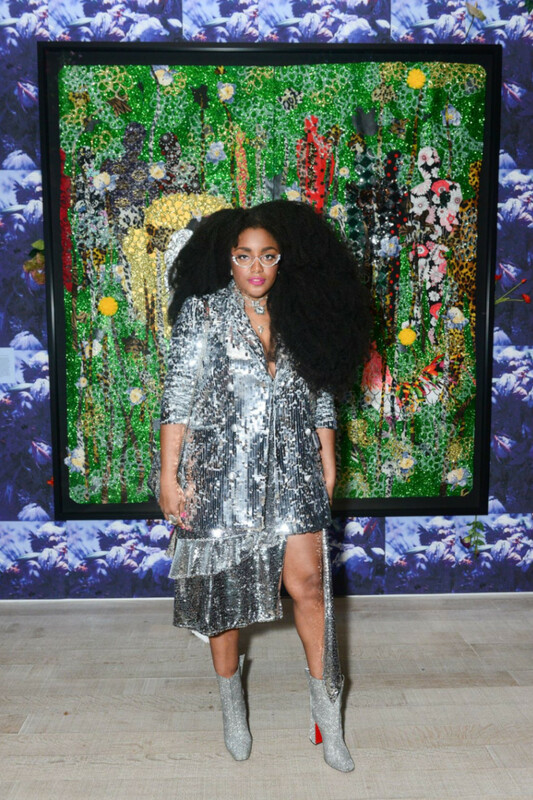 On the evening of Tuesday, December 4th, Christian Louboutin, along with PAMM Director Franklin Sirmans and Kasseem ‘Swizz Beatz’ Dean, hosted a celebration in honor of Ebony G. Patterson and the exhibition . . .while the dew is still on the roses. . . at Pérez Art Museum Miami. 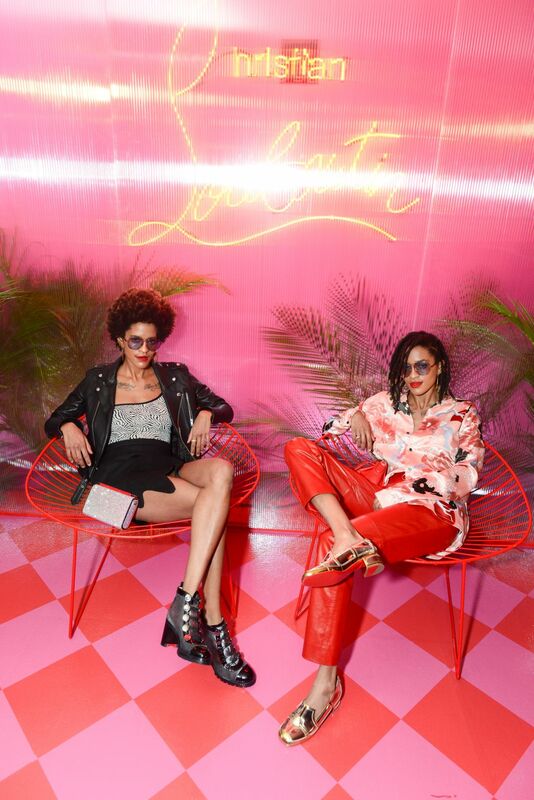 Kasseem ‘SwizzBeatz’ Dean, Ebony G. Patterson and Christian Louboutin at PAMM party. Located at the crossroads of the Americas, on the edge of the Caribbean, the museum is uniquely positioned to provide a common ground for cultural exchange and dialogue surrounding Patterson’s most compelling works. while the dew is still on the roses. . . at PAMM from November 9th, 2018 through May 5th, 2019.